Impact Safety Systems is honored to collaborate with some of the most dedicated health and safety professionals in racing. Our advocates have developed programs and technologies to help prevent drivers from suffering concussions, or if the worst occurs, diagnose and treat them so they can return to racing at peak performance. In the ideal world, concussions would no longer happen in racing. Fortunately for motorsports, there are a handful of heroic individuals and organizations who are working hard to reach that goal. Semel served on the CART IndyCar Safety Team for 19 years; Safety Director at Watkins Glen International for 11 years; and was Rescue Captain/EMT of the West Elmira Fire Department. He’s often a speaker, including a recent IMRRC “Racing Safety Through the Years” Seminar, and to the medical team at the Kennedy Space Center. 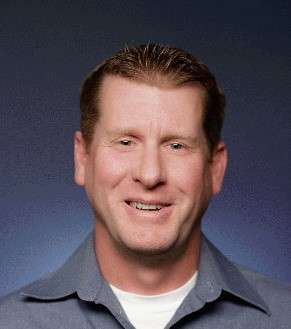 In addition to being a racing safety expert, Semel is a Certified Health IT Consultant, 15-year certified HIPAA Professional, published author and former Hospital CIO. Semel is currently the President and Chief Compliance Officer at Semel Consulting, after owning IT security businesses for over 30 years. Increasing attention has been placed on concussions during motorsport. Yet there is limited information on appropriate return to competition guidelines for racecar drivers. Julia Daly, PT, DPT, ATC outlines recommendations for racecar drivers to follow after sustaining a concussion in her “Returning to Race Car Driving After Concussion” brochure. 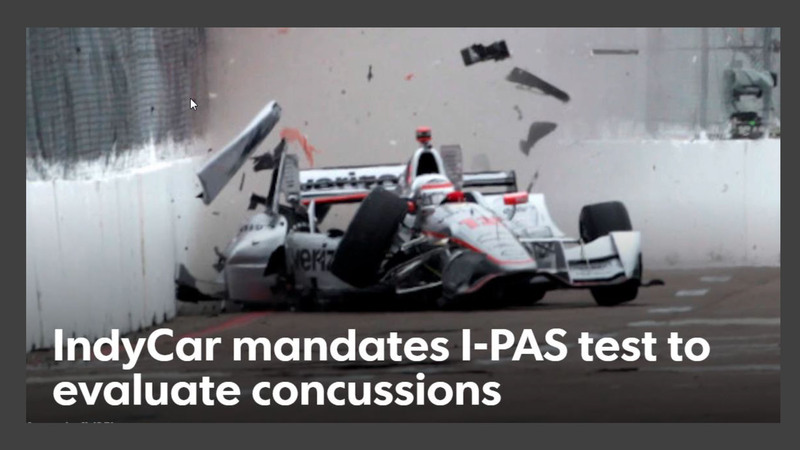 But, it’s important to note, drivers should always consult a medical profession about concussion recovery. The goal is to ensure that drivers are safe to race again, for their own wellbeing, as well as their competitors. Traumatic brain injury and post-traumatic stress are conditions that seriously effect racecar drivers and can have a devastating impact on both their careers and long-term health. Recently, an innovative new treatment has shown promising results among our Veteran community, who are at even higher risk of TBIs and PTSD, and even suicide. Magnetic e-Resonance Therapy (MeRTSM treatment), is a non-invasive neuromodulation technology that offers an individualized approach to brain stimulation and is able to uniquely map the brain to reveal areas not communicating properly. The individual’s data is used to develop a personalized protocol aimed at enhancing the brain’s activity to the individual’s optimal frequency. Though more study is needed, clinical trials have demonstrated statistically significant improvements in symptom severity (61% reduction in PCL-M after 4 weeks), with great consistency and reproducibility (97.8% responders based on VA criteria), and minimal side effects/adverse events. As a complementary treatment modality added to the current clinical armamentarium, MeRT may help facilitate return to function and neural restoration for individuals suffering from these conditions. 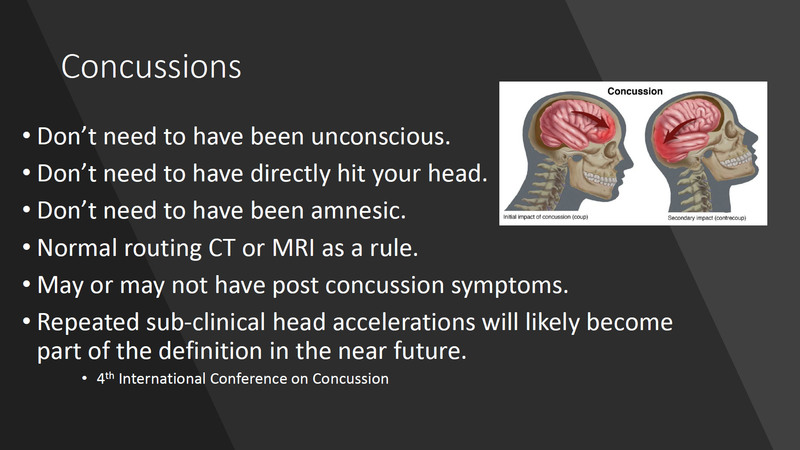 More details about this concussion treatment protocol are outlined in the BTC brochure. 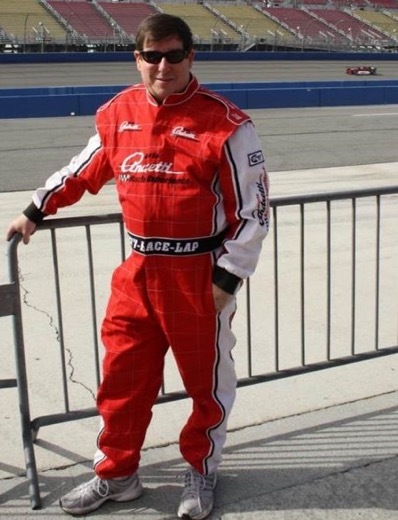 In addition to being a racer and driving instructor n vehicle dynamics, car control, and race strategy, Thomas served in the United States Army as a Section Leader for nearly 7 years. He subsequently pursued a nursing education and became an advocate for veteran mental health. Thomas acts as Military Care Coordinator at The Brain Treatment Center, pioneers of Magnetic e-Resonance Therapy (MeRTSM treatment), a new technology that helps improve the way the brain processes information and contributes to the restoration of optimal brain activity. For military servicemen and women who suffer TBI and PTSD symptoms, MeRT is a valuable treatment, but Thomas is also Founder of Warriors on Track (WoT), an adaptable motorsports program that enables our heroes to get back on track through an all-encompassing program that facilitates reintegration back into society. Using motorsports as a platform, WoT provides recreational therapy, camaraderie, job training and placement to restore the full potential of our nation’s highly trained, dedicated Veterans. WATCH THIS VIDEO about how Retired Army veteran Tom Woods rekindles camaraderie of fellow Iraq war veterans with an exhilarating new mission of teamwork and healing in the longest endurance road car race in the world.